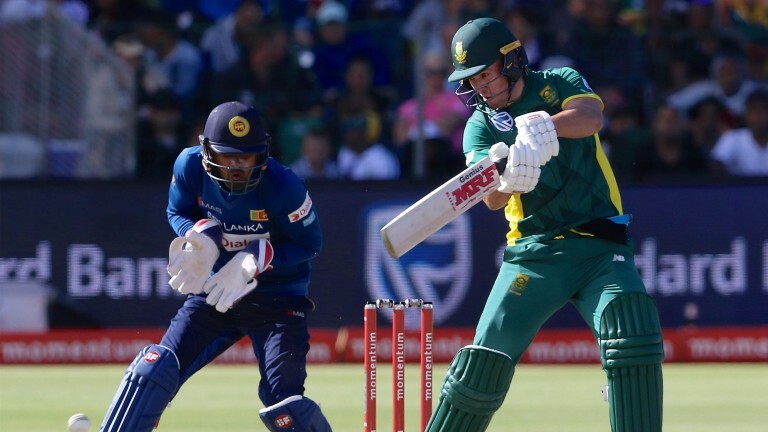 South Africa have won their last four ODIs in Durban and bookmakers are certainly taking no chances chalking up 1-9 about them going 2-0 up against Sri Lanka in their five-match series. The Proteas thumped the Lankans by eight wickets in Port Elizabeth on Saturday and while the visitors bounced back from a 3-0 Test series defeat to sneak the T20 spoils 2-1 against a mix-and-match host sides, home captain AB de Villiers and the first-team gang are refreshed and should be raring to go again. Indeed, it is Sri Lanka, who are now struggling for proven consistent performers, with ace all-rounder and skipper Angelo Mathews the latest to be injured and Upul Tharanga at the helm. Take De Villiers to deliver a fifty for his side. He returned from a six-month absence with 134 not out in a domestic limited-overs game and a fluent 63 in the third T20 and while he was content to gild the lily of the Proteas’s chase of 182 with 30 not out at number four, he rarely turns down the opportunity to go through the gears, especially in Durban. De Villiers missed October’s successful chase of Australia’s 371 at Kingsmead, when number six David Miller steered the ship home with a sensational 118 not out, but six of his last eight 50-over knocks at the venue have been half centuries. Scores of 87, 77, 76, 81 and 64 have come in victories over New Zealand, West Indies (twice each) and India while a knock of 75 was achieved in a loss to Pakistan. Rain is forecast to play a major part in proceedings in Napier so the best bet in the second ODI between New Zealand and Australia looks to be an outlay on James Faulkner to get 46 or more performance points. Marcus Stoinis grabbed the headlines in game one with his 3-49 and incredible 146 not out in the six-run defeat. However, fellow Aussie all-rounder Faulkner ticked over tidily too with a make-up of 56 (20 points for the one wicket, ten for the one catch and 25 runs) and he enjoys taking on the Black Caps. Four of Faulkner’s five other 50-over outings against the Kiwis had make-ups of 63, 50, 86 and 60. Kiwi opener Martin Guptill, who hit 61 in Auckland on Monday, is out with a hamstring injury and replaced by Dean Brownlie.